This is my first entry for this Thursdy Challenge Meme, well I've picked all-time favorite chocolates. Only few can resist the sweet bitter taste of chocolates, as for my family be it local or imported we really love these sweeties. This photo was taken in our office when the daughter of our boss brought us 'pasalubong' from her one-year stay in New York. 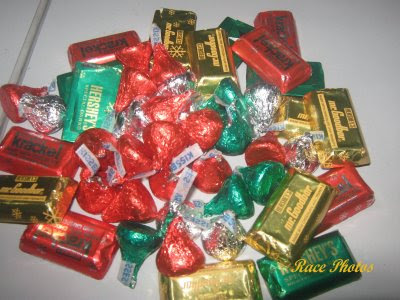 She loves bringing us sweets when she's here in the office and this time it's Hersheys and Kisses. See more Thursday Challenge Sweet entries here! Those are just such colourfully wrapped sweets which I would puy as souvenirs if I visit your country!!! Fazer is very old industry in Finland and family business and Finnsh were so sad as they sold it to Swedish Cloetta company. OK, you succeeded in making my mouth water. Chocolate has to be nature's most perfect food. Your photo makes me want to grab a handful. Thanks for visiting my orange. Wow! Your boss's daughter sure is sweet, bringing with her sweet treats for all of you to share. By the way, I have an award for you. thanks for the chocolate, good luck for you and keep on blogging.see yaa..